We’d love your help. Let us know what’s wrong with this preview of Lonely Planet Czech & Slovak Republics by Lisa Dunford. 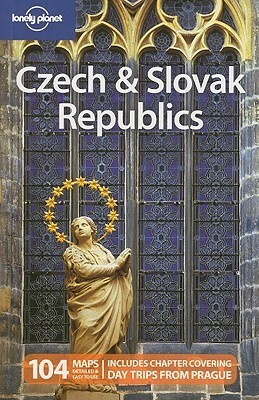 Experience the best of the Czech and Slovak Republics with Lonely Planet. With our 6th edition you'll discover atmospheric castles on green hilltops, marvel at centuries of architectural majesty in Prague, ski down pristine slopes in the Tatras and relax with a glass of crips, golden beer in historic Plzen. Lonely Planet guides are written by experts who get to the heart o Experience the best of the Czech and Slovak Republics with Lonely Planet. With our 6th edition you'll discover atmospheric castles on green hilltops, marvel at centuries of architectural majesty in Prague, ski down pristine slopes in the Tatras and relax with a glass of crips, golden beer in historic Plzen. Outdoors chapter tells you where to cycle, hike and ski. To ask other readers questions about Lonely Planet Czech & Slovak Republics, please sign up. This is very well written and extremely helpful. I've used it to plan my holidays in Prague and Bratislava and found the things to do section especially helpful. I love the Lonely Planet book layout. I've always preferred it to Rough Guides or Eyewitness, although that's just a personal choice and nothing to do with the publishers.